“Ms Fix It” on How To Create Chemistry with Someone ! “Ms Fix It” on How To Win Over A Guy ! “Ms Fix It” on What Valentine’s Day Gift to Get! 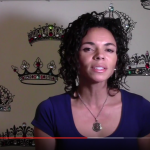 “Ms Fix It” on How to Attract A Good Woman! How to Deal With Post Holiday Blues and Get Motivated in the New Year! How to Lose Weight Successfully in 2016! The #1 Secret to Making Your New Year’s Resolutions Stick! What Gift Should I Get My New Boyfriend or Girlfriend? © 2018 Charly Emery All Rights Reserved.